Co-authors and friends, Hoskins and Yaker are celebrating the publication of this their third 101-project sewing book. 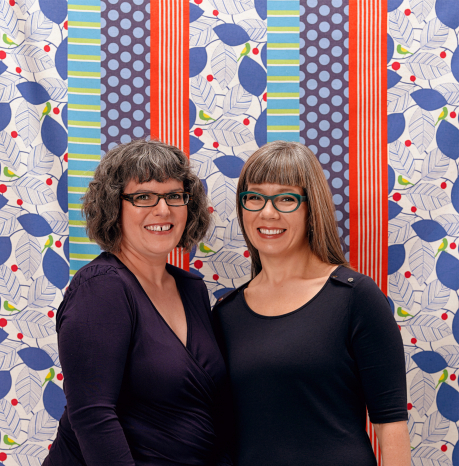 With help from their talented contributors, this successful publishing duo have once again compiled a sewing book packed with fun inspiration for using up stash fabric one yard at a time. This 360-page edition includes six full-sized pattern pages and fun patterns for moms like me to sew for our kids. 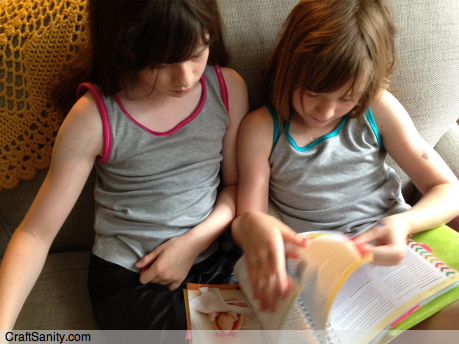 Even though my daughters are 8 and 10 now, I have marked about a dozen projects for future sewing. Some of the garment patterns go up to size 10 and 12 and many of the patterns for plushies, totes and accessories have all-ages appeal which is great. With my kids just about to grow out of the garment patterns it contains, I’m kind of blown away by how much I dig this book. Seriously, it’s really cool and contains some super cute patterns that I want to make for my kids and their cousins. There’s even a summer hat pattern with clever ponytail access. I love little deals like that. Ok, so go listen to the podcast and read my MLive.com column in the July 29, 2014 edition of The Grand Rapids Press. 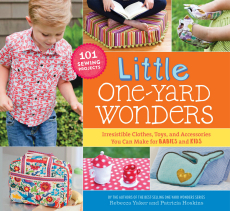 Then leave a comment about what you like to sew OR what you want to learn to sew to enter the random drawing to win a copy to “Little One-Yard Wonders.” (Thanks to Storey Publishing for donating a copy of the book to the giveaway!) The deadline to enter is July 6, 2014. Good luck!